When Naspers stumbled on a little-known Chinese Internet company in 2001, it could not have dreamed that a US$32m investment would account for more than 80% of the media conglomerate’s R200bn market cap now. Tencent Holdings is the largest Internet solutions provider in China and Naspers, which owns a 34% stake, is its largest shareholder. 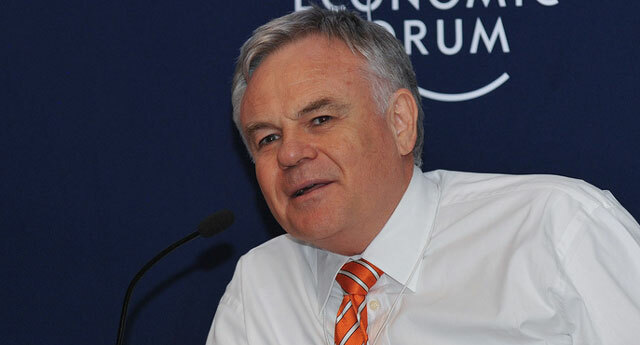 R4,8bn of Naspers CEO Koos Bekker’s personal fortune of R6bn in shares is linked to Tencent. Although social media stocks, most notably Facebook and Groupon, continue to plummet, Tencent appears to be a testament to the growth potential in emerging markets. With online offerings ranging from e-commerce to instant messaging and gaming, it was recently selected by Stocks on Wall Street as the top-pick stock for 2012 — and it is not hard to see why. It has a market capitalisation of about $57bn and its total revenue for the year to 31 December 2011 was up by 45% to $4,4bn. Profit attributable to equity holders was $1,6bn — 27% higher year on year — and its profit for the second quarter of 2012 was up by 32%. The p:e ratio (share price compared with its earnings) is 33. In contrast, Facebook stocks dipped to their lowest yet last week and the company’s market cap has halved to $41,5bn since listing several months ago. Although the number of users continues to increase and revenue grew by 32%, it reported a net income loss of $157m for the second quarter of 2012. Investor confidence, however, remains high with a p:e ratio of 108. Founded in November 1998, Ten­cent has become one of China’s largest and most widely used Internet service portals and, in 2004, it was listed on the main board of the Hong Kong Stock Exchange. More than 50% of Tencent employees are research and development staff and the company has obtained patents relating to technology for instant messaging, e-commerce, online payment services, search engines, information security, gaming and more. Its leading Internet platforms in China include instant messaging, social networking (with 580m active users) and a mobile chat and micro-blogging service known as Weixin. It is also the largest online gaming company in the world. Naspers states in its annual report for the year ended 31 March that the number of Internet users in China grew by 12% to 513m by the end of last year and Internet penetration increased to 38%. The popularity of mobile Internet has grown on the back of the increasing use of smartphones and the emergence of a large variety of mobile applications. Mobile Internet users comprised more than 69% of the total Internet user base at the end of 2011, up from 66% the previous year. According to the annual report, Naspers’s consolidated earnings before tax were R6,9bn, of which R5,1bn (74%) was attributed to the Chinese company, owned partly by Naspers subsidiary MIH. MIH aggregates all Naspers media assets except its African print operations and it has two out of nine seats on the Tencent board. Tencent also accounted for 85% of the trading profit of R5,4bn and contributed more than 88% to core headline earnings of R4,95bn. Kevin Mattison, an analyst and director at Avior Research, an independent equity research firm, said Bekker always had incredible vision about where to take the company and in the 1990s he had already decided to expand into Internet plat­forms. “They had initially tried to do things themselves in China through MIH, but it didn’t work,” he said. On the downside, the low dividend yield worried investors, he said. Another concern is that the company’s share price, trading at about R490 this week, is undervalued. The company revenues come mainly from Tencent, but also from investments in other Internet companies such as Allegro, an e-commerce platform in Poland, Mail.ru, a Russian Internet services group that has doubled its earnings over the past year and has a stake in Facebook, and BuscaPé, an Internet operations company in Latin America. “Adding up all their [Naspers’] other investments, fair value for the group is closer to R700,” Mattison said. Approached for comment, Naspers said it was trading at a discount to its intrinsic value owing to, in part, a holding company discount relating to its investment in listed entities such as Tencent and Mail.ru (an indirect exposure is normally discounted relative to direct exposure), as well as limited disclosure on its new Internet operations because of competitive sensitivities. Anchor Capital, in a newsletter titled “Naspers — Not for the Faint-hearted”, noted that in the longer term some profits from the massive spend in other Internet companies was likely to be a big share price driver, but this could take many years to materialise. Anchor Capital said Tencent earnings were likely to grow at a compound rate of 20% or more for a good few years to come, but the p:e ratio of 33 was “a little unsettling”. In the short term, the subdued earnings outlook and high Tencent valuation counted against the share, Anchor Capital said, but from a longer-term perspective Naspers was likely to remain an excellent player in the future.